2010 was a great year for me. I never had some much TOW, made so much PB's (overall and set-pb's) and made so much distance on a surfboard. First, before I look back on each month, some statistics. All the set-PB's I made in 2010. February The 20th I had my first 2010 session. It went very good from the first metres on. All winter I have been running + training and that paid of. The year began cold, very cold. Air temperature was 2 degrees celsius, the water was only 1.7 degrees. But I had some TOW. The 26th I had my first speedsession since a long time. 74 km/hr was the max speed with my 6.7m2 on the small slalomboard. March A nice month. I used the 2010 8.4m2 for the first time and it felt pretty good. I did 64 km/hr max on the manta65 with 65 and 38cm C3 Venom fin and I stopped running because all my spare time I wanted te be on the water. April On the first day, god created the allmighty Wind I guess. At least this month began with wind. Manta54 + 2010 6.0 was the set for today. Wind was very square on Herkingen but still I could go 71.5 km/hr max. Good session to tune up the 6.0 because some days later I would go to France for the speedweek. 4-9 April was the speedweek in the south of France. Very nice week. Beer enough, wine enough, some wind and nice people. It was great to surf together with Anders Bringdal and to meet the Italien Prince. No official heats because the wind was to less, or gusty. Also I did some formula fintesting. I had a good feeling about the Buscadore fin, so later in the year I would have my own cutom made Busca fins! 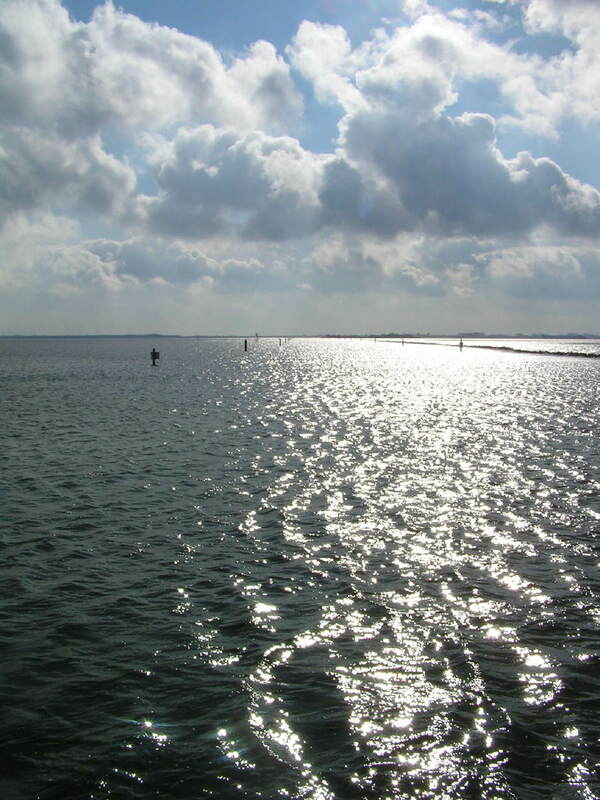 Back home I had some sessions on Ouddorp Haven. Also the distances are going up. Normally I would do about 70-80 km in 1 day, now I am doing 100+ km more and more. May The month began with rainy weather and the Dutch Champignonship on the Grevelingendam. I learned a lot during that week. Especially that high wind Formula is not my thing + upwind is my weakest course. Om May the 3th I had a very nice speedsession and I made my first Personal bests of the year. 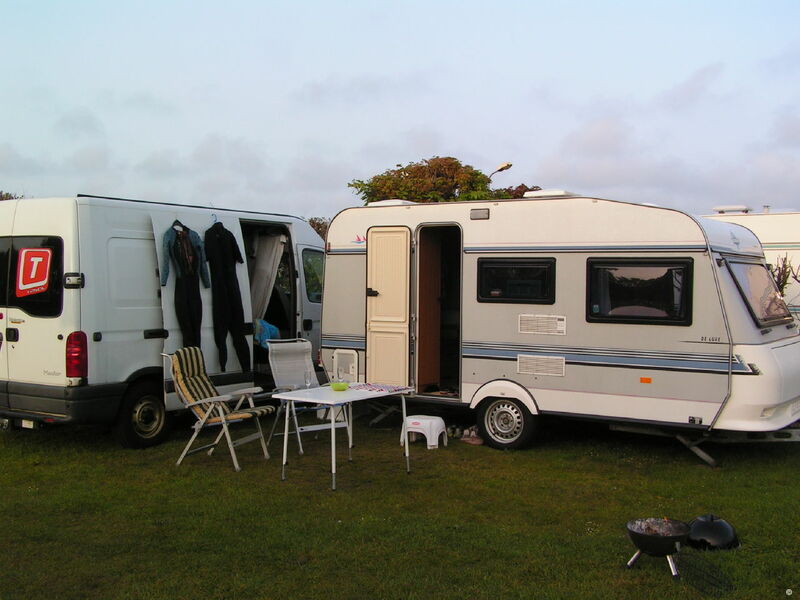 We bought a caravan and together with my wife Marjan we enjoyed the beautiful weather that was coming during the month. Marjan did her first session and we had a good time near the water, and on the camping site with the barbeque. June In June I got my new board, the Manta65 because my previous board (manta 64) was stolen. From the first session on I am very happy with the 65. 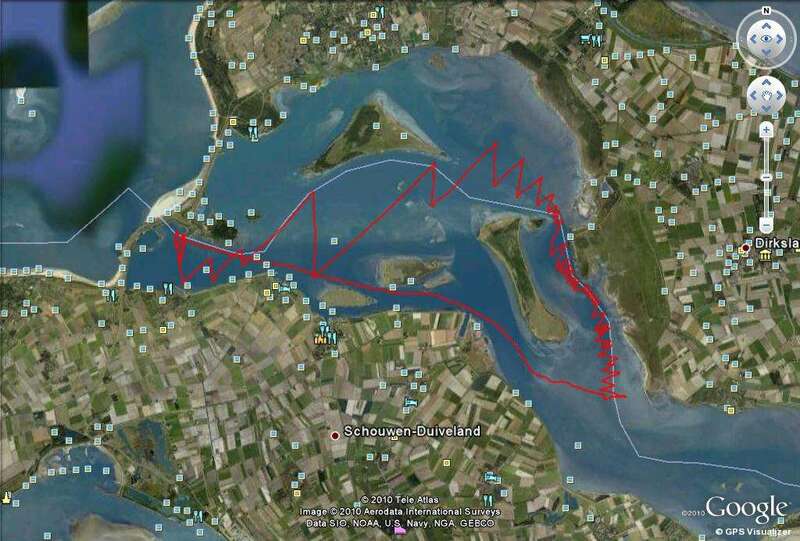 On June the 11th I had a great session on the choppy Kabbelaarsbank with it (+ 6.7m2 and 36cm C3 Venom). On June the 16th again same spot, same set with even higher speeds : 65 km/hr. Later in the month I had some good TOW together with Stefan Brouwers on Ouddorp Haven. July I bought my first custom formula fin : a busca 80 cut down to 70. Especially for the 12m2. I felt my back a bit this month with Formula and later on also with slalom. Luckely this went away after some weeks. August Sometimes you have those sessions, that will stay in your top 10 forever. I had a couple of those sessions this year. And I had 1 this month. Coming from work, I drove to spot "haringvliet" to do some Formula with the 11.0m2. The sun was shining, the wind was blowing and this was my first time on this spot, with this particular winddirection. It was great. I even managed to improve my hour (35 km/hr). This was also the first session I posted on the GPS teamchallenge website. Since then, we made a good team with the name "Grevelingen Chop Team". Also I did some nice distance with the Formula on the Grevelingen lake. I did some long distance (+100 km) with the 12m2. Also I increased my best speed on the Kabbelaarsbank (66 km/hr) with the Manta65 and 6.7m2. Later in the month we went on holiday to Spain. We had 4 great weeks over there. On 26th I had a big crash that I will never forget. I hurt my leg bigtime, and it can take more than 1 year before it is 100% again. But OK, I'm still alive and I read many books and drank more wine than normall. September Not much TOW, my leg is hurting. The 5th was my first session in Spain, 1 week after the crash. 17 km distance, that was it. Coming back in Holland again was a big step. Coming from 40 degrees celsius going to 16 degrees and rain. 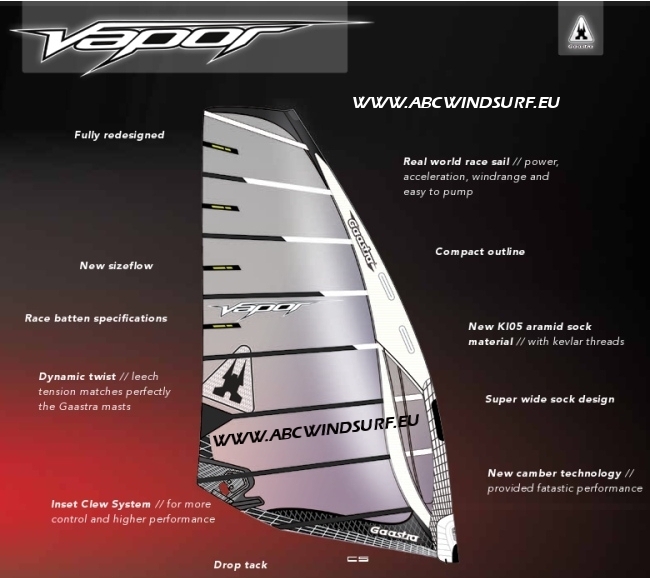 A little bit of information about the all new 2011 Gaastra Vapor sails. What the biggest slalomsize and the smaller Formula size is going to be, I don't know. The range looks promising! Personally I am happy with the 7.1m2. 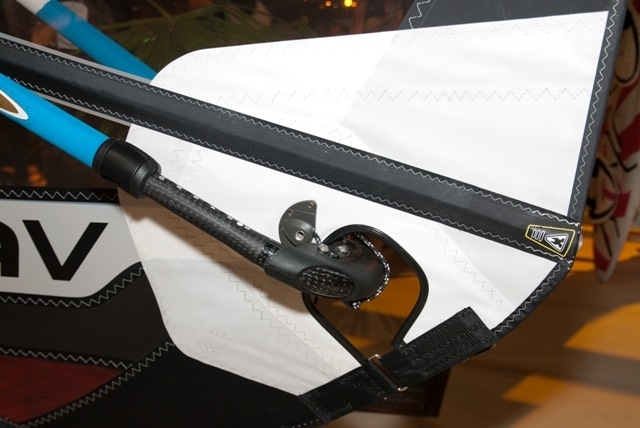 I can use that one for speedsurfing on the Manta54 and maybe even on the Manta49 with the brand new C3 Slingshot 23cm fin! It would be a dream for me to go 80 km/hr with the 7.1m2. 1 of my goals for 2011! If I have more information about the sails I will let you guys know. So keep an eye on this website! Here it is, the all new GTX Race with even more Vapor genes than before! It had been a long time since I had a good speedsession with some serious wind. Finally, for the first time this year I had a speedsession. The southwesterly wind came through gusting 45 knots. The water on Herkingen was flat, the angle was OK. It was not perfect, the angle could have been better. I rigged up the 2009 5.5m2 Vapor, took the Manta54 and a 28 cm C3 Venom fin. After some runs, I had a max speed of 76 km/hr and best run was 71 km/hr. A lot of runs I have made with max speed hitting 75 km/hr all the time. So I broke some records. After a plug was coming out of my board I had to stop for the day. But I could loan a JP 45 Speed Pro Edition from Ben Vanderick. The board is very small (45 cm) with 54 litres. I had some difficulty to get away with it, but after some time it went better. First 2 runs with 50% effort. Speeds about 70 km/hr. Than I tried a short speed run. It felt OK, and I saw 73 km/hr. Than I went for it, and I ended up doing 78 km/hr max, and best run was 72.1 km/hr. So very happy, and now I know I really need a speedboard and I can do 80 km/hr next speedsession! On Sunday 31th of October, a long distance race was held on the Grevelingenlake. Organizer was the Surfersgroup. The man behind this group is Ton and he also has a surfshop in the Netherlands. There are not much long distance races here, so it was kind of special to be part of this funrace. At 10:30 we started with winds between 14 and 17 knots. I had my hands full on the 11.0m2 + Formula + low wind fin. We had to race to the other side of the lake, and than turn back to the starting point. After 30 minutes the wind was allready dropping, and after 30 km the wind died. I did not made it to the turning point, and I decided to pump my way back to the starting point. I did 60 km in 6 hours time. I was a bit tired after pumping with the formula in 1 knot wind. But it was fun, and I hope to have more long distance races like this next year! I still have 2 more months to go, but I allready can say this was my best year ever regarding windsurfing. I never went so often, never made this distance and never had so much quality time on the water. I have improved my gybes, I can do longer distances than before and my condition is very good. I try to keep myself in shape and that works. October is becoming a good month! I made some TOW, trying to make some nice distance. But the wind is not always working with you, or the time isn't there. Or I am on the water with the Formula gear. Then it is also difficult to make some distance, because of the low speeds. Today I had a great session with the Tabou Manta79 and 2010 Vapor 8.4m2. I gave the sail 4 cm more downhaul than recommended and it work very good. Wind was between 13 and 17 knots, temperatures about 10 degrees celsius. I think it was one of the last times, I used the summer boots, the water is getting colder and colder. Friday 01-10-10 I had some serious TOW after some weeks of taking it easy. Wind was aprrox. 12-16 knots and I was on my Manta79 with 8.4m2 and 45 fin. Temperature was OK for the shortarm and the sun was shining. I made some set-pb's with this set today. I increased my average speed, 500 metres, hour, nautical mile and distance. I did 102 km and it went quit easily. it was the fourth day of the holiday in Spain, when I was surfing on the sea with Manta79 + 7.6m2. The wind was increasing seriously and because of the winddirection (S) there were big waves. I was busy with my last 5 minutes with this set before rigging down, when I was out on the sea and 3 big waves hit me. I saw the first 2 and when downwind a bit to handle them. That went OK. But my speed increased by going downwind and I did not saw the third wave. I hit it on the top, and than things went very fast. I crashed big time and felt something hitting my leg very hard + I was still in the straps. After the crash I first yelled, and than looked at my leg. I was not a pretty sight. To make a long story short: went to the first aid, than to the hospital. X-ray, NO bone was broken but there was some damage on my muscle. But the spanish hospital is really amateuristisch. After some days I could walk again without using sticks. Even after 1 week I went surfing again, but only with a calm sea, and not for more than 1 hour. Now today (september 16) I go to a Dutch hospital for a echo of my muscle (there is a big ball on my leg, probably it is blood that cannot go away). 5 days after the crash (so still in Spain, having a great time) I could drive again and we wanted to go of the camping site to have some nice lunch. We sat in the car, I wanted to start it ..... car broken. It had to go to a garage 40 km further, and after 3 days I had my car back. Bad luck. But the rest was very nice. I did some windsurfing (way less than my plan was, but surfing is just a part of the holiday and not the most important), we met very nice people and next year we come back. See below for some pictures. Since yesterday I am part of a GPS team. At this way, an individual sport is becoming a team effort. The Aussies started this contest, and the whole world can take part of it. Monthly rankings, year rankings are made by the average of the 2 best team speeds of a particular day. Are team "Team Domilock" has got 4 riders. So at least 2 riders have to surf on the same day, to have a team speed. But those 2 riders don't have to be on the same spot or even the same country. It has been 10 days ago I had my last surfsession! In the meantime we have had no wind, or I did not found the time to have a session. Also my Formulaboard was in repair last week. But tomorrow (Monday 26-07) my weekend starts @ 07:00 hours when my nightshift ends. I'll go to bed for some hours, and after that going to the water. 13 knots is predicted, increasing up to 16/18 knots later in the afternoon. I am ready for some action! But after working the nightshift the body is normally not in it's best, so I have to wait and see. After this night I have to work 11 days and than I'm on holiday. August 13th is the last day, and I'm off untill September the 20th! For next Thursday some wind is predicted. 22 knots from the SouthWest, hiting 30 knots gusts. Depending on the winddirection I make my choice where to go. Herkingen is some time ago, hopefully the weed is gone there. or I go to kabbelaarsbank for a chopsession, or maybe to an island in the Grevelingenmeer near Den Osse for some flatwater action. But wet we will be! With temperatures staying between 22 and 32 degrees celsius, we are having a good old fashion summer. Last week my new light wind Formula fin was ready. It is a 80 cut down to 70 fin. I tested it with 12 metres and 6-10 knots wind. The fin is superb. It can handle max pressure with minimum speed. Also downwind the board keeps flying over the water. Very happy with the result! Finally we had the combination with sun and wind again here in Holland. First I had to work the morning shift. @ 15:00 hours I went from work directly to the water. Approx. 16:00 hours I hit the water. First with the Manta65 + 7.6m2. The wind was a bit too less, so I did not had enough drive to round the marks on speed. So I took the Manta79 for a spin. This still is 1 of my favorites! The speed was good, considering the number of surfers on the water (very crowded), and controll in the gusts was very good. Again the gybes went very good. The last couple of months I improved my gybes. Today I tried to do everything even faster. Especially putting back my feet back in the straps after rotating the sail. And doing race-gybes throwing the sail right above the water. As I got tired, the gybes did not work all the time so I stopped @ 19:00 hours. Tomorrow (Sunday) I take some rest, and Monday if the wind is there I will go for another after work session! 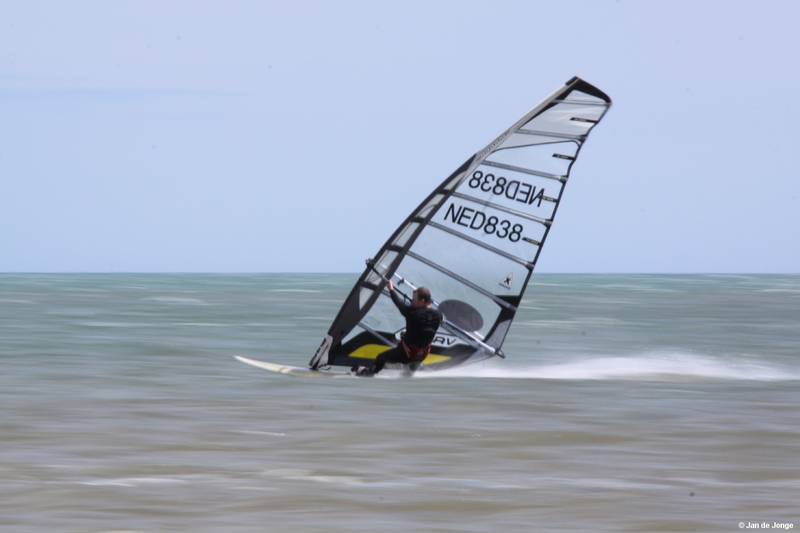 Last Friday I had my first session with the new Tabou Manta65. I rigged up the 7.6m2 Vapor and put a 39cm Select S010 under the board. The wind was a bit too much to have a smooth ride, but the set felt okay. The fin seems to work good with the board but I need some time to adjust everything. After this, I rigged up the 6.7m2 Vapor and changed fins to a C3 Venom 36cm. This combination rocks! I was in controll all the time, and speeds went up. I stayed in the chop, doing some slalom. The gybes went so smooth, even better then with the Manta64. Max speed was 62.3 km/hr and best alpha (250 metres, gybe and then 250 metres back) was 41.8 km/hr (my PB is 43.75 km/hr). The board is 1 cm wider and has a bit more volumn than the Manta64, but it feels smaller! Low end is the same, but on speed it feels smaller. After my Tabou Manta64 was stolen some weeks ago, now I finally have a new board. 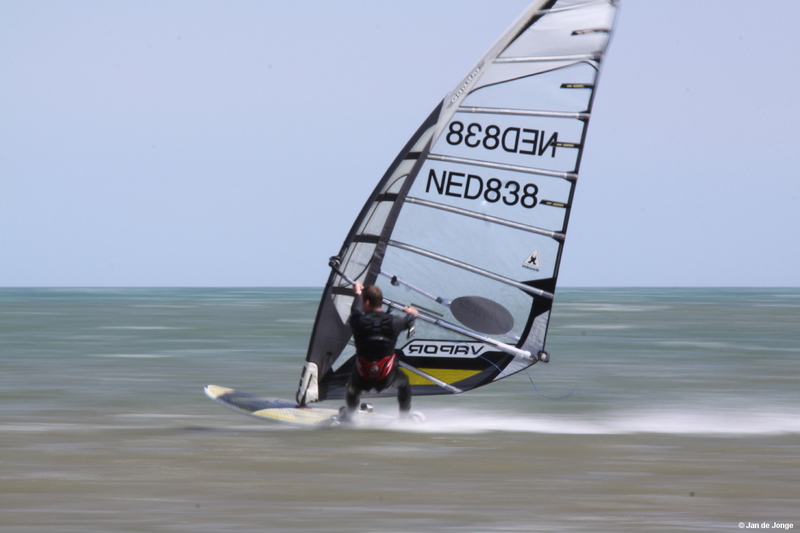 The 2010 Tabou Manta65 which I got from my shop http://www.jonkerfunsport.nl/ in Renesse. Together with the board I bought a Select S10 39cm fin. I hope this fin will work with the board with 7.6m2 on it. For Friday (it is wednesday today) there is wind predicted from the South west, about 19 knots. So I hope I can give the Manta65 a good first go and have some nice GPS speeds with it! April and May where months with good TOW. 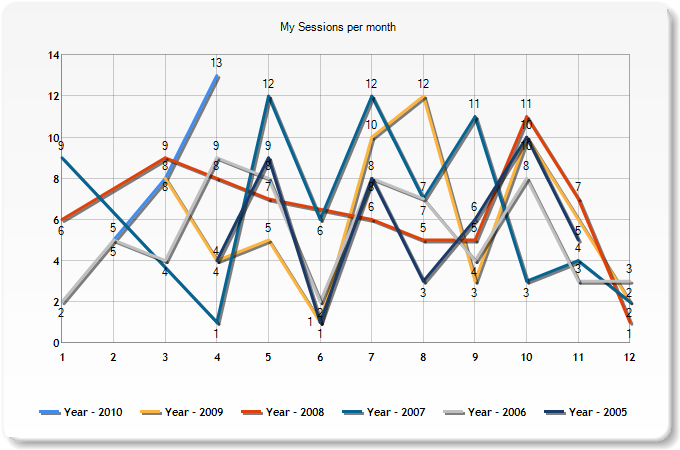 Both months I was able to do 14 sessions. In May finally the sun was there and we had some great time near the water. Not really interesting things going on here in Holland. I had some Formula sessions last week with 11.0 and 12.0 in minimal conditions. Good workout, I don't need the fitness. 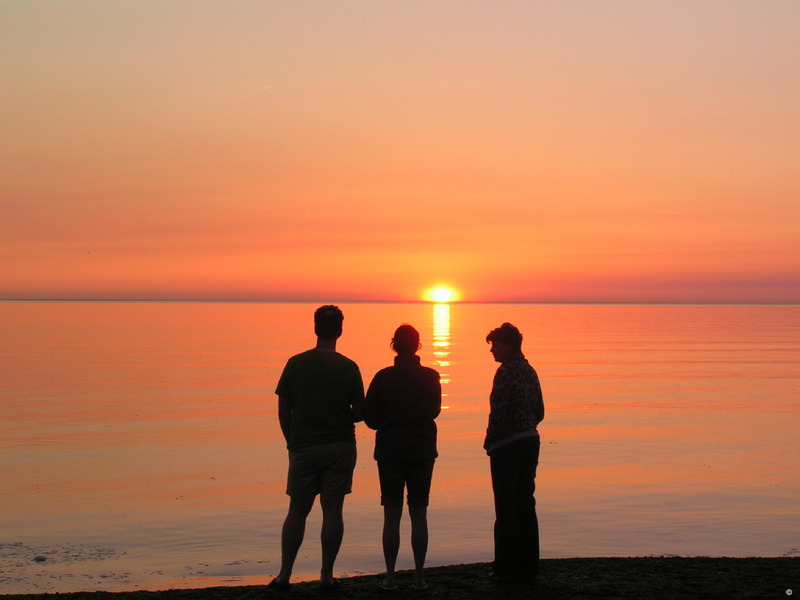 This weekend temperatures are rising again up to 20 degrees celsius. So hopefully we get some thermal winds in the afternoon. The good life is so simple sometimes. Despite the fact a board was stolen, I had a good week. Saturday+Sunday+Monday+Tuesday+Thursday+Friday on the water. Not the best wind all days, but I have been able to use the 6.7 / 7.6 / 8.4 / 11.0 and 12.0m2. Hopefully tomorrow 9sunday) wind again, because we have got the regiocup! Last week my Tabou Manta64 is stolen. Also this week a trailer of the Dutch windsurf union is stolen. Yesterday I read on the internet that again surfsuff is stolen. So look out near the beach! After my board was stolen I went to several shops in the area to ask if they can look out for my board. Coming in my own shop (http://www.jonkerfunsports.nl/) and after hearing my story, my shop gave me a brand new Tabou Manta65 FR which I can use in the meantime. Hopefully I get some week in the next few days so I can test this board. The C3 Venom 30cm I bought the other day, does the job good! Monday 3th of May I increased some Personal Bests. 2 seconds speed is increaed to 75.17 km/hr. 250 metres to 74.04 km/hr and the 500 metres to 67 km/hr. I am impressed by this fin, it gives a lot of control in small chop! Well, my first champignonship in 2010 has come to an end. I became 28th from the 35 in totall. I have ordered anorher fin for my FW board, because I found out that I am not competitive with the FRB8 Hurricane I now have. And I learnt a lot during this weekend. This weekend the first NK is beiing held, right at my homespot Grevelingendam. On Saturdaymorning we will take the long drive to the water (12 minutes, ghe ghe). Hopefully we are going to have good winds. I see Saturday there is 11 knots predicted (perfect circumstances for me) and Sunday maybe a bit more. We are not going to sleep at home, but in the caravan for the first time (we bought it last month). Marjan is going to make some pictures, so I will post time ASAP! The month is almost finished, but I did not find the time to get on the water the last days. Otherwise I could have done 1000 km this month. But this week I have the nightshift, and I slept bad. So I did not had the energy to go on the water with the Formula gear (not much wind) and pump till I would drop. But I did some other things: buying windsurfstuff! I bought 2 good speed fins for the Manta54: C3 Venom 28 + 30cm. Also I have ordered a low wind Formula fin. This machine has to help me to start FW-surfing with 8-11 knots. 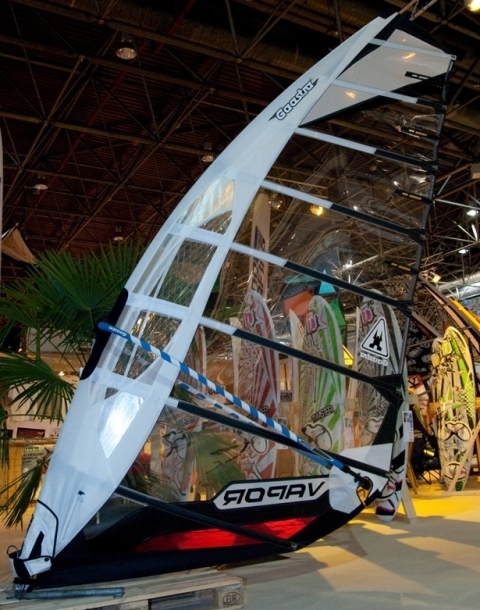 The last couple of days I am looking for a board for my wife Marjan, I think I will buy here a Starboard Rio. Looks good, not only for beginners but also if you want to start planning. No record breaking statistics, but looking at the graphs I see that April this year was the best month ever regarding to TOW. Looking at last winter, I started surfing back in February. So in 8 weeks time, I allready did 1142 km. I have to break my own distance, which I made back in 2007. My goal is to achieve 5000 km in totall. In the first week of April I was in the south of France for speedsurfcompetition. We had a very nice week, we surfed, but we had no conditions for a official competition. But I had a blast. Nice people, sunny, tuned up the new 6.0m2 2010 Vapor, did some fintesting for the Vapor board and there was cold beer! 31-March + 01-April. Wind is coming!!! Today I gor the change to have a first go with the new Vapor. I rigged the 8.4m2, conditions where very low, about 13 knots. The first feel is very good. Rigging is easy, leach looks very nice. Tomorrow I will test the 6.0m2 in speedconditions. Last week we went to France for a holiday. We hired a house in the Lorraine, and enjoyed the food, drinks and off course the country. The weather was good, we BBQ-ed 2 times so thats good. Today (sunday) a had a surf session again. Used the Manta64 together with the 7.6 and a 38 cm C3 Venom fin. Max speed almost 65 km/hr, average was 60+. 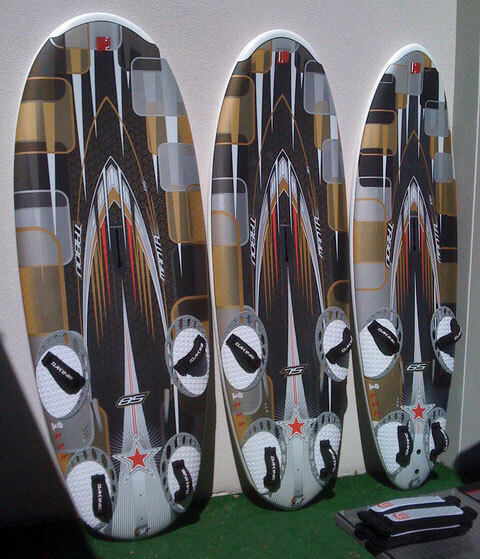 Tomorrow I'm going to the surfshop for some 2010 Vapor sails, yeah!!! Finally I have got the time to surf so more. I began last Friday with a Formula session using the Vapor board + 12 mtr vapor2008. Saturday again Formula, this time with the 11 mtr Vapor2009. Today (sunday) more wind was coming. But it came too late (I had to go working, evening shift) and I ended up using the Formula again with 11.0mtr. Tomorrow hopefully there is enough wind for some slalom action. My weekend starts tomorrow, so it would be nice to do a fourth session. Last Friday I had my first 2010 speed session @ Herkingen. First I started with the 98 litres Tabou Manta64 + 6.7m2. Max speeds were somewhere around 66 km/hr and average 65 km/hr. Later the wind increased and I took the Manta54. At this moment I allready was a bit tired. Speedsailing is so different then slalom or Formula. Also the 6.7m2 was a bit too big, but I allready sold the 6.0m2 which would be the perfect size for today. Going upwind across the dam costed me too much energy. 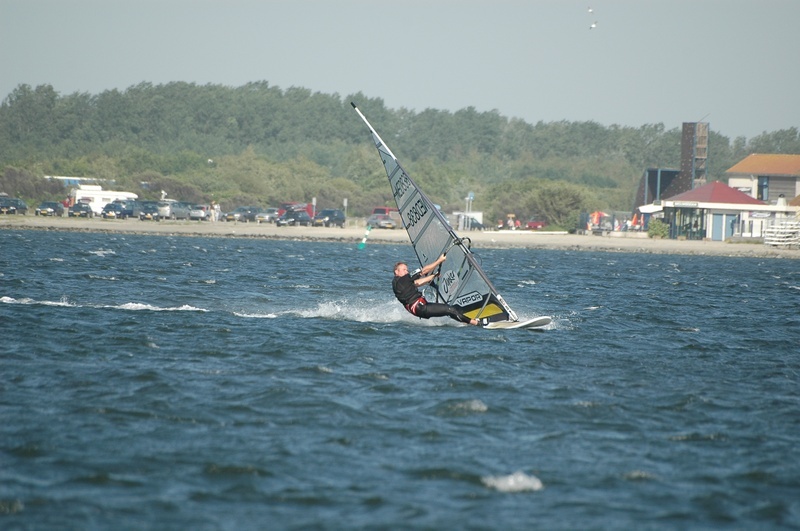 Finally after some Formula sessions, today there was enough wind to use the slalom gear. 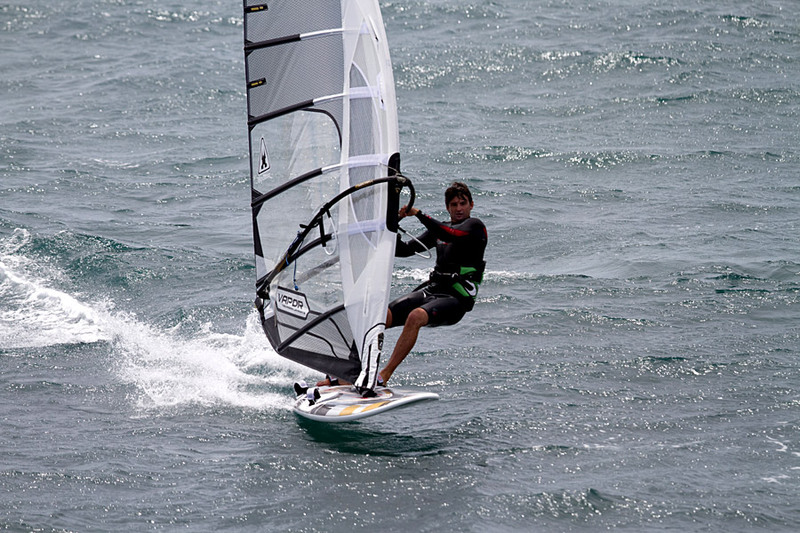 Formula windsurfing is nice, and can be great! But the sensation of higher speeds, faster gybes and the handling of the smaller gear is nicer. The wind came from the East and was approx 2-3 Degrees Celsius. The water is about 1.7 celsius. I did'nt had any problems with the temperature. Only my fingers were a bit cold so I had to take my rest often to grab a hot cup of tea. For tomorrow again a bit of wind is predicted: about 11-13 knots, so again a Formula session with 11m2. My goal for tomorrow: trying to do 100 km distance in 1 day. I still have some sails for sale. Look under For Sale to check it out! Today I had a cold session. Temperatures about 3 degrees, water 1.7 degree and at last a bit of rain. But I had a nice time, because I was SURFING! Again with the Formula + 11mtr. Wind was about 12 knots. For 10 minutes it dropped but overall I could planee constantly. Jeroen made a photo. Today I had my first session of the year. I took the Vapor Formula + Vapor11.0m2 and Hurricane FRB8 for a ride. In the beginning I had some cramp under my feet because of the rails, but after 10 minutes the cramp was gone and things went good! Last month I started running again. Beginning of January I started with 91 kg bodyweight. At this moment I am 86 kg and my goal is 83 cm. I run about 3 or 4 times a week, distance between 10 and 15 kilometres. I have weight in my hand, so during the running I also train my upperbody. That is very hard after 10 km, but today I found out that this is the perfect training method for me. This first session went very very well, and my condition now is better than it has been all 2009. Here are some pictures of the new 2010 Vapor I found on the web. The pictures were taken at Boot in Germany. The sails are looking very cool! Happy newyear! The year has began cold here in the Netherlands. For the second year in a row, we are seeing snow and ice. More snow than last year tho. 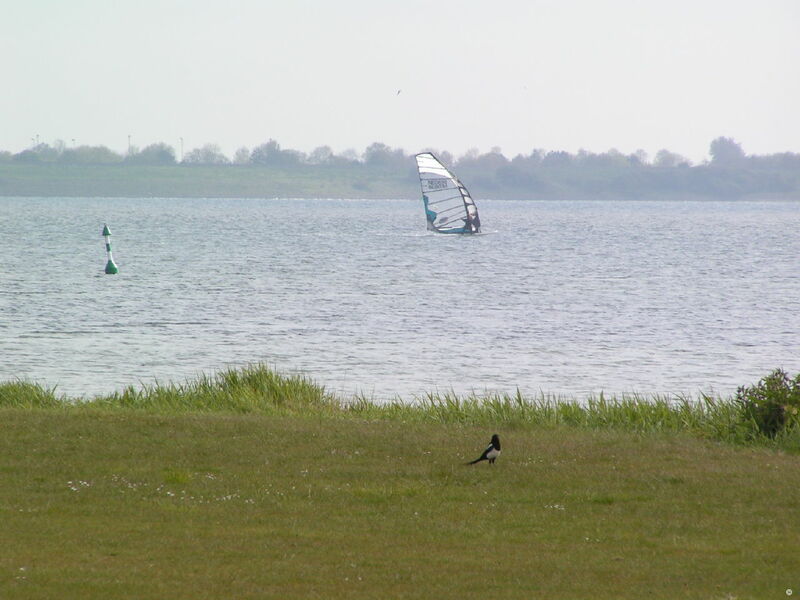 I would like to see some sun again with nice temperatures so windsurfing is an option. But now it is not duable. I have not surfed a lot since October because of things doing in home and doing some extra's on my work. So this is the time to sell some gear, and order new gear. So if somebody of you guys are interested in 2009 Vapor sails, just send me an e-mail. For 2010 there will be 3 different Tabou Manta versions. First the Manta we allready knew from last year, second a Manta FR. This is more the high end freeride board from Tabou. And at last the Manta Pro Edition. This is how the Pro Edition looks like. My boardquiver will remain the same for 2010. Maybe I am going to buy a speedboard, about 44 or 49cm wide with a smaller sail (4.5 or 5.0) but I am not for sure. Regarding the Vapor sails I will keep some 2009 sails (5.5 and maybe the 8.4) and for sure I keep the 2008 12.0m2. The 6.0, 6.7 and 7.6 will be replaced by the 2010 sails. Looking ahead to 2010 I see some nice things happen in my own windsurfworld. In April I am going to France again, to participate with the Belgian Speedweek. Something I did in 2006 and in 2008. 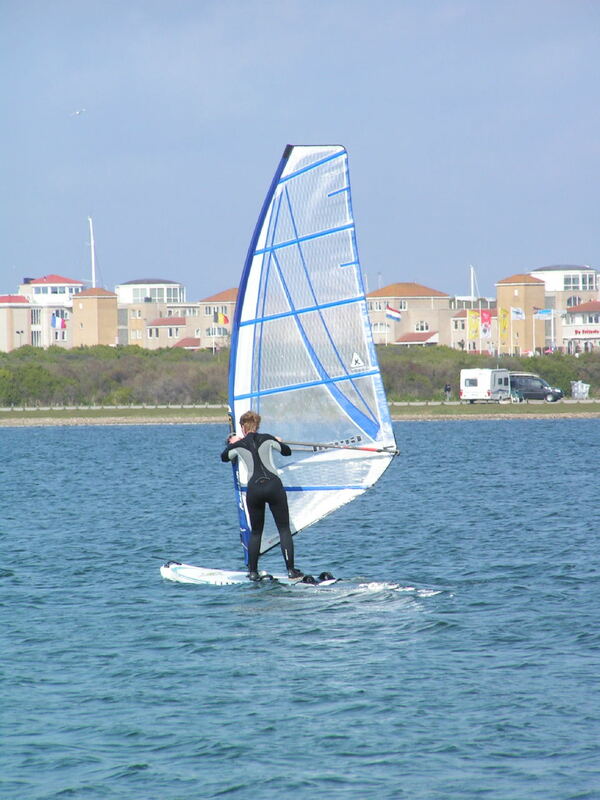 My wife is also planning to start windsurfing again. So I am looking forward to learn her the basics again and enjoying both the time on the water. 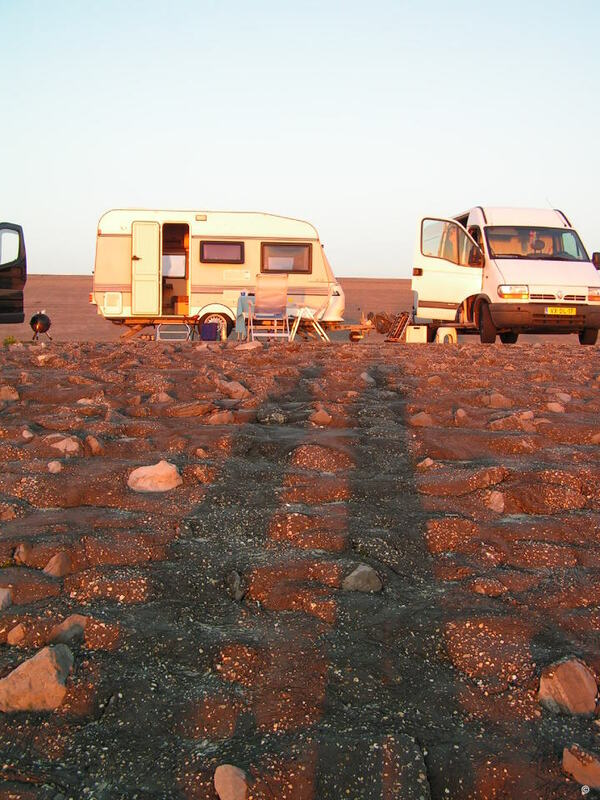 This summer we will buy a caravan and go to Spain again, for holiday. And I just want to have a good time on the water, that has always been my spirit and maybe a bit less in 2009 when I was too much busy with my personal records and speeds. If I did not have a good speed an a particular day, my day was over. But now I want to go back to basics : ENJOY.